Whether it’s your first passport or your third, applying for a passport can be a stressful experience. To help ease the process for you, we’ve distilled some of our wisdom (and that of experts at our local passport office) down into five easy-to-understand tips. Keep reading and start applying! One of most common reasons for passport applications to get rejected, whether new or renewing, is from a bad photo. Photos can be bad for many reasons, but many of them get rejected because they are printed on a poor quality printer. We’ve had success with our Canon Pixma Pro9000 when we renewed our passports recently, but lower quality printers may not produce a clear, high-quality image enough to make it through the application process. If you’re not completely comfortable taking and printing your own photo, consider going to a photographer or your local AAA office. They can quickly and cheaply get you your passport photo, with no questions as to whether they’ll be good enough to get through the application process. When you’re making plans for a trip that goes overseas, and you need to apply for a new passport or renew one, you want to make sure you get it in time, right? Make sure you submit your application with plenty of buffer time before your trip. Passport offices work hard to make sure they provide a consistant, predictable response time, typically averaging about 4-6 weeks for non-expedited applications. The situation at passport offices can change, so you should check on the current wait times to make sure it hasn’t gotten worse. Also, make sure you keep your expectations about turnaround time realistic, no matter what tour operators, cruise providers, or any other companies may tell you. On a recent visit to the Seattle Passport Office, we heard stories about people showing up to the passport office trying to get passports for a cruise leaving the same day. Apparently, their cruise operator had told them it was perfectly normal to just show up and get your passport in the morning, then to hop right on their cruise ship down at the waterfront. I couldn’t believe my ears. No matter what you do, just remember that the folks at all the passport offices work hard to make sure that you get your passport as quickly as possible. Just be sure to give them time to do their job, most likely 4-6 weeks, and you’ll have your passport in time for your trip. 3. In A Hurry? Go To Your Passport Office. If you’ve got two weeks or less before a trip, and you absolutely need your passport ASAP, your only chance is to head to your nearest regional passport office. There are twenty-five passport officesscattered across the United States, just waiting for you to make an appointment. Depending on how busy your local office is, you may need proof of international travel within two weeks to be able to make an appointment. 4. Passport Demand Is Seasonal, Take Advantage Of It. Like almost everything travel-related, demand for passports is seasonal. Sadly, instead of planning ahead, people tend to apply for passports as the travel season gets busier, just as kids are getting out of school and families are starting to go on trips. This timing means passport offices get busier at the beginning of summer and continue to be busy until the fall. What does this mean to you? When the offices are busy, wait times go up. So, do yourself a favor. 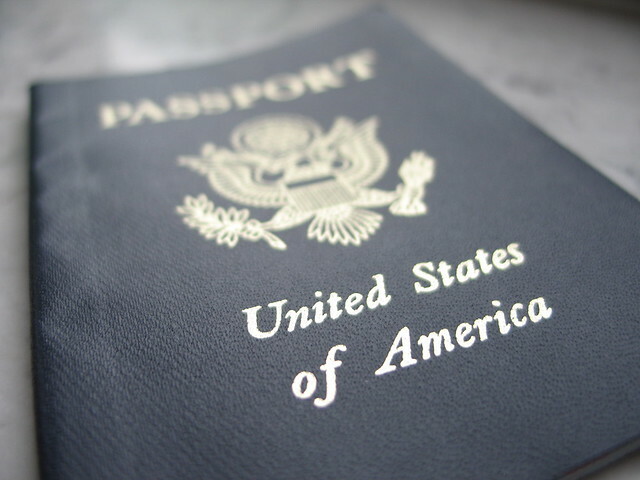 Plan ahead and apply for your passport when it’s not so busy, during the fall and after the new year. That way, you’re more likely to get your passport application back quickly, with plenty of time to spare. Our last tip is a simple one, check and re-check that you’ve got everything you need before you mail off your application. Signatures, payment…make a list of everything and go over it a few times. Just because you’re renewing doesn’t mean you can let your guard down. Renewing passport-holders get rejected three times as often as new passport applicants; reportedly nearly a third of all renewals were rejected because the applicant didn’t follow the directions, forgot to sign the forms, or even forgot to include payment! Compare this to a 10% rejection rate for new applicants, who must be so paranoid that they are more careful with their applications. So, be paranoid, too. Triple check everything, whether you’re a new applicant or renewing. Thanks to http://www.travellious.com/five_tips_for_getting_or_renewing_your_us_passport for this post.